In the last couple of years I was encouraged to start looking at publishing a game in the board game world instead of the video game world for a number of reasons. In the process, I’ve discovered a world of games I hadn’t even fully realized existed. While I’ve not yet gotten published, I have made a ton of new friends and played a ridiculous number of new games (for “study” purposes of course…). So for this post, I’d like to talk not about the best games that came out in 2017 (though some have), but rather the ones that have had the greatest impact on me in particular. 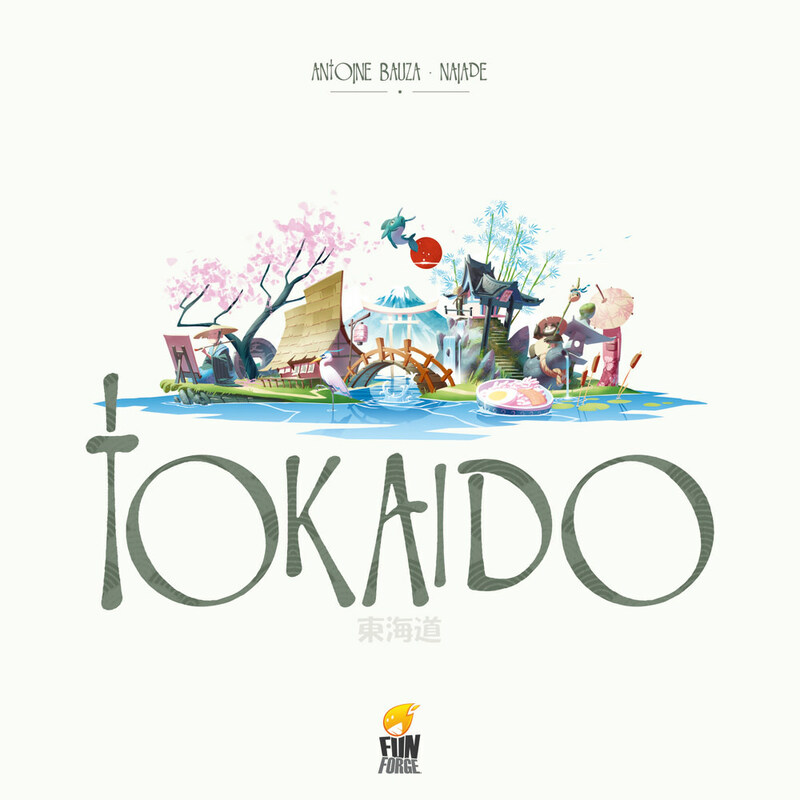 I’ve played a lot of board games, but what stood out for me in Tokaido was the effect it had on me emotionally. That’s a pretty rare quality in a game, so let’s explore that a bit. On the surface, Tokaido looks fairly simple. Players work to progress along a straight line representing the East Sea Road in Japan, stopping at places along the way in an effort to score the most points for their characters particular goals. Perhaps your character gets extra points by stopping at scenery locations, or by meeting new people, or just has a particular advantage that you should try to exploit whenever possible. Underneath that fairly simplistic (yet beautifully artistic) exterior is a game where you win by taking your time and savoring the journey. Rushing to the specific locations you have an advantage in is a quick way to lose the game, and this was where it really started hitting me. Too often we’re rushing to do the things we’re good at, ignoring the beauty of everything else that’s going on around us that we could stop to take in on the way there. The true points in the game are gained by taking your time and being strategic along the way. There’s a message in this game to stop and smell the roses not only because you should, but because when it’s all said and done, that’s how you truly win the game. Betrayal at House on the Hill is a game about six explorers who find themselves inexplicably stuck in a haunted house. At first, they are simply exploring the house to find a way out, dealing with the creepy issues the house throws at them. Eventually though the evil in the house typically gets the best of someone, and then the real game of survival begins, pitting players against each other in a fight to survive. This game has always been a staple in our household, but Widow’s Walk brought a lot of improvements for traversal as well as 50 (!!!) additional haunts to add to the game, each with a new and unique twist on the end game. This game is largely here because it’s the most played game among myself and my friends and family. While far from a perfectly balanced machine, Betrayal is instead a game that embraces its imperfection in an effort to tell an interesting story. Sometimes, the traitor simply doesn’t stand a chance, and sometimes it feels like it’s way too hard for the heroes, and that’s really the glory of it all. 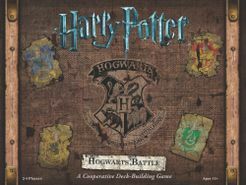 You really never know what you’re going to get with a game of Betrayal and once you’re comfortable with the rules you can really power through games of it quickly to get to the new story. Before you say anything, no, this is not the same game as above. In fact, it’s the single most refreshingly original boxed dungeon crawl game I’ve ever played. Simply put, you are a party of adventurers exploring Baldur’s Gate after staying in the Elfsong Tavern. From there, adventure eventually finds you. Betrayal at Baldur’s Gate manages to borrow from Betrayal at House on the Hill without being a simple reskin, adding its own flavor and leveraging the system’s ability to tell a good story. At the end of the day, that’s what a good dungeon crawl should do, and Betrayal at Baldur’s Gate accomplishes that without forcing the player to simply bash a number of monsters or constantly engage in combat. Every game we’ve played so far has left me considering new theories and storylines for my own Dungeons and Dragons campaigns. The stories it weaves are unique feeling, and the challenges feel difficult without feeling impossible. It’s hard to tell if it’s become the favorite Betrayal game in the house yet, but it’s certainly the favorite dungeon crawler. 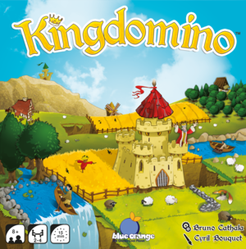 As a father of three I’m constantly looking for things I can play with my family and Kingdomino has proven to be one that’s not only interesting to my kids but also to me and my wife. The gist of the game is that each of you are trying to build your own kingdom by claiming types of land and cleverly placing them in such a way that it earns you the most points. These are represented by dominoes with each side of the domino representing different types of land. Connect the same land types and add the tiles that give you points for those areas, and you’ll quickly have a kingdom worthy of winning the game. What’s nice about this is that there is a strategy to the game, typically from its limitations. Only being able to build your kingdom into a 5×5 grid where you lose tiles that go outside of it forces you to plan ahead, yet the randomness of which tiles comes out keeps you thinking turn to turn. Combine this with the unique turn order system, where picking weaker tiles allows you to go sooner in the next pick, and you’ve got some legitimate strategy happening at the table. Or if you’re 5 years old, you just pick the ones that match the colors of the other ones you’ve already got and win anyway despite the machinations of your father. What an infuriatingly difficult game, but I can’t stop playing it. Our last game night we tried 4 times, 4 times, in a row to beat year six. We came extremely close, literally one turn away from practically securing it, before it finished us off. Despite all of this, I’ve found this to be the single best deckbuilder I’ve ever played. The progressive difficulty means we’re constantly looking at new challenges and having to think harder about how we proceed. Our game group has stuck with the same characters and seating order every game and it’s really helped add to the feeling of it being one continuous story. I won’t spoil anything for those that haven’t played through it yet, but I’ll warn you that about the time you hit year four is when the game decides to teach you how difficult the game can really be. Get ready for an addictive experience that really is a game that begs you to play it one more time. That’s what I’ve got for this year, what about you? Feel free to comment with your favorite game this year and what you liked about it! If you would like to read more reviews we have a weekly series called Key Movies Of My Life that comes out every Wednesday and also be sure to check out more in our Best Of 2017 series here.